Originally published by Joanna Herzik. Originally published by Madeline Pricer Jones. The post Unanimous “Not Guilty” Jury Note was Not a Verdict. Convicted on Retrial appeared first on Fort Worth Criminal Defense Attorneys and Personal Injury Lawyers. Originally published by Beth Graham. 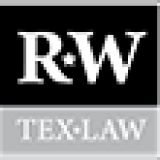 The Southern District of Texas has ordered a proposed class action lawsuit that was filed over an organization’s alleged violations of the Fair Labor Standards Act (“FLSA”) to arbitration. In Randle v. Metropolitan Transit Authority of Harris County, No. H-18-1770 (S.D. Tex., Oct. 1, 2018), a Texas man, Randle, signed a series of independent contractor agreements to lease equipment from and drive for Yellow Cab Paratransit Services (“Yellow Cab”). Each of the independent contractor agreements contained an arbitration provision stating all future disputes “arising out of or in any way relating to” the contract must be resolved through binding arbitration. Meanwhile, Yellow Cab also contracted with the Greater Houston Transportation Company (“GHTC”) to provide van drivers for METROLift. METROLift provides Houston-area residents who are disabled or elderly with free or subsidized local transportation services. Randle operated a METROLift van as an independent contractor for Yellow Cab for a period of approximately seven years. Despite that Randle contracted directly with Yellow Cab, he filed a proposed class action lawsuit against GHTC in May 2018. According to Randle, he and other similarly situated drivers were misclassified as independent contractors. In addition, Randle claimed he was denied overtime pay as required by the FLSA. In response, the GHTC filed a motion to compel the case to arbitration based on Randle’s independent contractor agreement with Yellow Cab. According to Randle, the dispute was not subject to arbitration due to the transportation worker exception included in Section 1 of the Federal Arbitration Act (“FAA”). Randle also argued the arbitration provision was unconscionable because it required him to waive his FLSA rights. In addition, Randle claimed GHTC did not have a right to enforce the arbitration provision included in his independent contractor agreement with Yellow Cab because the organization was not a party to the contract. Circuit City Stores clarified that § 1 applies to a small class of workers. Circuit City Stores, 532 U.S. at 110. The Supreme Court explained that the proper interpretation of “transportation worker” relies on § 1’s residual clause. The phrase, “any other class of workers engaged in foreign or interstate commerce,” should be understood “to give effect to the terms `seamen’ and `railroad employees,’ and should itself be controlled and defined by reference” to those terms. Id. at 115. Only those “transportation workers” involved in interstate commerce fall under the § 1 exclusionary clause. Id. at 119. Fifth Circuit precedent also makes the limited applicability of § 1’s exclusionary clause clear. In Rojas v. TK Communications, Inc., 87 F.3d 745 (5th Cir. 1996), the Fifth Circuit explained that “[t]he exclusionary clause . . . should be narrowly construed to apply to employment contracts of seamen, railroad workers, and any other class of workers actually engaged in the movement of goods in interstate commerce in the same way that seamen and railroad workers are.” Id. at 748. The Fifth Circuit described the Supreme Court’s holding in Circuit City Stores as “fully consistent with [the] reasoning in Rojas.” Brown v. Nabors Offshore Corp., 339 F.3d 391, 394 (5th Cir. 2003). Under the Fifth Circuit’s decisions in Rojas and Brown, Randle is not “actually engaged in the movement of goods in interstate commerce in the same way that seamen and railroad workers are.” Rojas, 87 F.3d at 748. He cannot be excepted from the FAA on this basis. See, e.g., Calderone v. Sonic Houston JLR, LP, No. H-15-3699, 2016 WL 738642, at *3 (S.D. Tex. Dec. 21, 2016); Tran v. Texan Lincoln Mercury, Inc., No. H-07-1815, 2007 WL 2471616, at *5 (S.D. Tex. Aug. 29, 2007). The § 1 exception excludes specific workers—those in the transportation industry with a “necessary role in the free flow of goods”—for whom Congress had or was developing specific statutory dispute-resolution schemes. Circuit City Stores, 532 U.S. at 121. The defining quality of a § 1 “transportation worker” is moving goods through interstate commerce. Tran, 2007 WL 2471616, at *5. Randle’s work for METROLift involves transporting passengers locally in Harris County. He does not move goods on behalf of a carrier like a railroad or a vessel like a ship. Randle cites no cases in which a court has found that a public-transportation driver qualifies as a “transportation worker” within §1 of the FAA. Randle’s work does not qualify him as a “transportation worker” under the § 1 exception. Next, the district court applied a two-step analysis to assess whether a valid agreement to arbitrate existed and, if so, whether the dispute before the court fell within the scope of that agreement. After finding the arbitration agreement was neither illusory nor unconscionable, the Southern District of Texas held nonsignatory GHTC was permitted to enforce the arbitration provision based on a theory of direct-benefits estoppel. Likewise, the court held Randle’s FLSA claims against GHTC fell within the scope of the agreement because the arbitration provision included in his signed independent contractor agreement was broad. The arbitration clauses contained within Randle’s Agreements with Yellow Cab are valid, and Randle’s claims against Metro fall within the scope of those clauses. Under § 3 of the FAA, “a stay is mandatory upon a showing that the opposing party has commenced suit upon any issue referable to arbitration under an agreement in writing for such arbitration.” Alford v. Dean Witter Reynolds, Inc., 975 F.2d 1161, 1164 (5th Cir. 1992). The Fifth Circuit has interpreted this language to mean that the district court cannot deny a stay when one is properly requested, not “to limit dismissal of a case in the proper circumstances.” Id. If all of the issues raised before the district court are arbitrable, dismissal is appropriate. Id. Because all of Randle’s claims are subject to arbitration, dismissal is proper. Finally, the federal district court granted GHTC’s motions to compel the dispute to arbitration and dismiss the case. Originally published by Adam Faderewski. Justices of the Supreme Court of Texas convened a special session of the court on Wednesday to honor judges and governors who served in the armed forces during the Great War. Descendants of those honored were among those present in the crowd. The session was held in the historic Texas Supreme Court courtroom in the Texas Capitol in recognition of 100 years since the end of World War I on November 11, 1918. Justice Paul Green presided over the court in the absence of Chief Justice Nathan L. Hecht, who was unable to attend the ceremony. Texas Supreme Court Justice Paul Green applauds World War I veterans for their service during a special session of the Texas Supreme Court on November 14. Houston District Judge Mark Davidson and Houston lawyer David Furlow, executive editor of the Texas Supreme Court Historical Society’s journal, spoke about the eight Texas Supreme Court justices, three governors, and one Texas Court of Criminal Appeals judge who served during World War I. The eight Supreme Court justices were Few Brewster (1945-1957), Frank P. Culver Jr. (1953-1964), A.J. Folley (1945-1949), Wilmer St. John Garwood (1948-1959), Meade Felix Griffin (1949-1968; he also served on the Texas Court of Criminal Appeals in 1969), Robert W. Hamilton (1959-1971), Gordon Simpson (1945-1949), and Charles Stewart Slatton (1945-1947). Governors recognized for service during WWI were Jimmy Allred (1935-1939), Beauford H. Jester (1947-1949), and Dan Moody (1927-1931). In addition to Griffin, Texas Criminal Court of Appeals Judge George Eastland Christian (1927-1941) was honored. Few Brewster received his law degree from the University of Texas School of Law in 1916. He was inducted into the U.S. Army on May 26, 1918, in Temple, and was commissioned as a second lieutenant in charge of Company F of the 2nd Development Battalion of the U.S. Army’s 160th Division. During the war, Brewster was stationed at Camp Pike in Arkansas and later at Camp Custer in Michigan, to train troops. He was county attorney of Bell County from 1919 to 1923, district attorney from 1923 to 1928, district judge of the 27th District from 1929 to 1941, served on the Supreme Court of Texas’ Commission of Appeals from 1941 to 1945, and was a justice on the Supreme Court of Texas from 1945 until his death in 1957. Brewster also served as president of the Bell County Bar Association, head of the Texas Bar Association Judicial Section from 1937 to 1938, Texas Bar Association secretary from 1938 to 1939, State Bar of Texas vice president from 1939 to 1940, and State Bar president from 1940 to 1941. Frank P. Culver Jr. received his law degree from the University of Texas School of Law in 1914. He was in private practice in Fort Worth from 1914 to 1917, when he enlisted in the U.S. Army. He was commissioned as a first lieutenant and fought in the battle of St. Mihiel and the Meuse-Argonne campaigns before serving in the Army of Occupation and being honorably discharged as a captain. Culver returned to Fort Worth were he was in private practice from 1919 to 1927, served as assistant district attorney in Fort Worth from 1927 to 1928, and was a judge of the 17th District Court from 1928 to 1950 (minus two years when Culver re-entered the armed forces during World War II). During World War II, he was commissioned as a lieutenant colonel and was stationed in San Antonio, Dallas, and Texarkana. Culver was honorably discharged as a colonel in September 1944 and served as president of a general court martial before retiring from the U.S. Army at the end of November 1954. He was president of the State Bar of Texas Judicial Section in 1950 and 1951. Culver was a judge on the 2nd Court of Criminal Appeals in Fort Worth from 1951 to 1952 and a justice on the Supreme Court of Texas from 1953 until his retirement in 1964. A.J. Folley was drafted into service with the U.S. Army in June 1918 and was assigned to the Conservation and Reclamation Branch of Camp Travis’ Quartermaster Corps for the duration of World War I. After the war, he received his law degree from Baylor Law School in 1925 and would go on to private practice in Floydada and Spur. Folley was a district attorney in Dickens County from 1929 to 1934, a judge of the 110th Judicial District from 1934 to 1937 and the 7th Court of Criminal Appeals in Amarillo from 1937 to 1943, served on the Supreme Court of Texas Commission of Appeals from 1943 to 1945 and as a justice of the Supreme Court of Texas from 1945 to 1949. Upon leaving the Supreme Court, he practiced with Adkins, Madden, Folley & Adkins then Folley, Snodgrass & Calhoun until his retirement in 1980. Folley was State Bar of Texas president from 1959 to 1960 and was known for organizing the bar’s advisory council, adoption of a revised Code of Criminal Procedure, and adoption of several amendments to the State Bar Rules. He also served on the American Bar Association’s House of Delegates and on the Texas and National Commissions on Uniform State Laws. Wilmer St. John Garwood registered for the Army on June 15, 1918, serving in the 1st Texas Cavalry along the Mexican border, and served in the Reserve until 1923. He received his law degree from the University of Texas School of Law and his LL.B. from the Harvard Law School in 1922. Garwood clerked for Baker Botts in Houston before joining Texaco in New York from 1922 to 1924, working in the legal department after being licensed in New York in 1923; worked at Baker Botts in Houston from 1924 to 1928; with Standard Oil Company in Buenos Aires, Argentina, from 1929 to 1933; and with Andrews, Kelly, Kurth & Campbell in Houston from 1934 to 1942, when he re-enlisted for service in World War II. Due to his age, he was not placed in active duty but was appointed as a second lieutenant commander in naval intelligence in Chile from 1942 to 1945, where he served as naval liaison officer in Tocopilla, senior assistant naval attaché in Santiago, and received the Orden al Merito Chile from the Chilean government for his service. Garwood returned to practice law in Houston from 1945 to 1948 and served as a justice on the Supreme Court of Texas from 1948 until his retirement in 1959. In retirement, he did work with Graves, Dougherty, Hearon & Moody in Austin and was a visiting professor of law at Southern Methodist University School of Law and the University of Texas School of Law. Garwood was a trustee of the University of Texas Law Foundation and served eight years as Texas Civil Judicial Council president. His son, William Lockhart “Will” Garwood, was appointed to the Supreme Court of Texas in 1979, becoming the first and only father and son to serve on the court. Meade Felix Griffin received his law degree from the University of Texas School of Law in 1917 before joining the Army and being commissioned as a major on September 13, 1918, and stationed in Camp Sheridan in Montgomery, Alabama. At the end of the war, he was offered a regular commission as a captain in the Army, but he declined to practice law in Tulia—Griffin remained in the Reserve as a major. He was promoted to lieutenant colonel in 1929 and entered the inactive Reserve in 1936. Griffin returned to the Army as a lieutenant colonel on July 27, 1942, after the U.S. entered World War II. Post-World War II, he helped to establish the trial section of the U.S. Army’s war crimes department at Wiesbaden, Germany, and was appointed chief prosecutor in the U.S. War Crimes branch of the U.S. Army in Wiesbaden in 1945. Griffin retired as a colonel in the Judge Advocate General’s Corps in 1953. He served as a justice on the Supreme Court of Texas from 1949 to 1968, as a special judge on the Texas Criminal Court of Appeals in 1969, and was assistant attorney general of Texas from 1969 to 1971. Robert W. Hamilton enlisted at the Smith County Draft Board in Tyler on September 10, 1918, while employed and going to school at the University of Texas. He was made part of the Student Army Training Corps, which later would become the Reserve Officers’ Training Corps, or ROTC, being honorably discharged from SATC in November 1918 before being honorably discharged from the Army in December 1918. Hamilton was licensed as an attorney in 1927 and went into private practice in Tyler until 1929. He was Martin County attorney in 1929, district attorney to the 70th Judicial District from 1930 to 1935, and in private practice specializing in oil, gas, and mineral law in Midland from 1935 to 1951. Hamilton was district judge for the 70th Judicial District in Midland from 1951 to 1953, chief justice of the 8th Court of Appeals in El Paso from 1953 to 1958—authoring more than 350 opinions—and a justice on the Supreme Court of Texas from 1959 until his retirement in 1971. Gordon Simpson reported to Camp Leon Springs, First Officers’ Training Camp, in May 1917. He was appointed as a second lieutenant in August 1917 and was stationed with the Quartermaster Corps and promoted to first lieutenant in August 1918. Simpson also served at Camp Joseph E. Johnston near Jacksonville, Florida, and Camp A.A. Humphreys in Fairfax County, Virginia, before being honorably discharged on April 8, 1919. Simpson received his law degree from the University of Texas School of Law in 1919 and practiced in Pecos and Tyler. He served in the Texas House of Representatives from 1923 to 1927. Simpson was appointed district judge of the 7th Judicial District in 1930. He served on the Texas Bar Association Board of Directors from 1927 to 1939, including time as the chairman; was appointed vice chairman of the Supreme Court of Texas Advisory Committee on the State Bar Act and interim director of the State Bar in 1940; and served as State Bar president from 1941 to 1943. Simpson re-enlisted in the Army during World War II and served as a major in the JAG Corps, attaining the rank of lieutenant colonel. He was elected to the Supreme Court of Texas in 1945, while serving in Italy. Simpson was called back to active duty by the Army in 1948 to serve on the JAG Corps’ commission in Dachau, Germany, where he was charged with reviewing the convictions and sentences of Germans found guilty of war crimes. He resigned from the Supreme Court of Texas in 1949 and became vice president and general counsel to General American Oil Company, eventually becoming president. Simpson later joined Thompson & Knight, where he worked until 1985 at the age of 90. Charles Stewart Sutton was a corporal with Company E in the Headquarters and Supply Detachment of the U.S. Army Signal Corps’ 51st Telegraph Battalion (later re-designated the 55th Telegraph Battalion). Sutton was assigned to the American Expeditionary Force’s 4th Corps and trained at Camp Upton in Suffolk County, New York, before going to Europe. During combat in Europe, he was twice the victim of poison gas attacks and served in the occupation army in Germany after the war. Sutton received his law degree from Cumberland University School of Law in Tennessee in 1923 and returned to Texas to practice law in Jourdanton. He was county attorney for Atscosa County for two years; served three terms as district attorney of the 81st Judicial District; was appointed justice of the 4th Court of Appeals in San Antonio in 1937; was appointed to the Supreme Court of Texas Court Commission of Appeals in 1940; and served as a justice of the Supreme Court of Texas from 1945 to 1947, when he resigned to become general counsel to Southwestern Bell Telephone Company in Dallas. Sutton was president of the District and Appellate Judges Section of the State Bar of Texas from 1942 to 1943. He died in 1951 from a heart attack that was most likely in part caused by the two poison gas attacks from his time in Europe. Jimmy Allred enlisted as a seaman in the U.S. Navy in June 1918, despite being draft exempt, and was most likely stationed at Camp Farragut in San Francisco, California, before being honorably discharged in February 1919. He received his law degree from Cumberland University School of Law in Tennessee and would serve as a district attorney and then Texas Attorney General before becoming governor in 1935. Allred was governor of Texas until 1939. Beauford H. Jester was only about a month from graduating from Harvard Law School when he returned to Texas to enlist in the U.S. Army and was assigned to the first class of Officers’ Training Camp in Leon Springs. He entered the 179th Infantry Brigade as a private but was promoted to captain six weeks later. Jester arrived in Europe in July 1918, having likely survived a U-boat attack during the Atlantic crossing. Upon arrival, he received a letter addressed to the U.S. soldiers from King George V of Great Britain. Jester took part in the battles of St. Mihiel and the Meuse-Argonne campaign, where he suffered a heavy dose of mustard gas but refused to abandon his men on the frontlines. He served in the army of occupation in Lissendorf, Germany, until May 1919 when he was sent home on a hospital ship, still suffering the effects of the poison gas. Jester received his law degree from the University of Texas School of Law in 1920. He was appointed to the University of Texas Board of Regents in 1929 and served two years as chairman. Jester was appointed and elected to the Texas Railroad Commission in 1943 and served as governor of Texas from 1947 until his death in 1949, from a heart attack likely in part as a result of the mustard gas attack. Dan Moody tried to enlist in the U.S. Army Air Service in 1917 but he was deferred from service because his mother was an invalid. He later joined the Texas National Guard, being commissioned as a second lieutenant. Moody gave up his Texas National Guard commission and enlisted in the Army as a private in 1918, being stationed in Camp Pike, Arkansas, where he was in training at the time of the war’s end. He was district attorney for Williamson and Travis counties and won a series of trials against the Ku Klux Klan. Moody was elected governor of Texas in 1927, the youngest governor in Texas history, and served until 1931. George Eastland Christian received his law degree from the University of Texas School of Law in 1912 and had a private practice in Burnet until he enlisted in the U.S. Army in April 1917, being assigned to the 90th Infantry Division at Camp Travis. He was commissioned as second lieutenant at Leon Springs before arriving in Europe in late June 1918. Christian took part in the battle of St. Mihiel and the Meuse-Argonne Campaign. He received a battlefield promotion to first lieutenant and was honorably discharged in 1919. Christian returned to private practice in Burnet from 1919 to 1925; served as district attorney for the 33rd Judicial District; was an assistant attorney general in the Texas Attorney General’s Office in 1925; served on the State Board of Prison Advisers in 1927; and was on the Commission of the Texas Court of Criminal Appeals from 1927 until the time of his death in 1941. For more detailed information about each honoree, see the fall 2018 issue of the Journal of the Texas Supreme Court Historical Society, available at http://ow.ly/esPv30mDrRu. Originally published by Staff Report. Whether you want to hike and bike through parks and trails or explore new lands and immerse yourself in new cultures, your Member Benefit Program can help. For more info, check out the Sports & Outdoors and Travel pages. Eartheasy — Eartheasy provides solutions for sustainable outdoor living. Get 15% off, plus free shipping, on LifeStraw, Scrubba, and EcoZoom products at Eartheasy.com. Full Speed Ahead — Full Speed Ahead develops world-class wheels, cockpit, and drivetrain components for road, tri, track, gravel, cyclocross, and mountain bikes. Collette Travel — Collette Travel offers over 160 guided tours spanning all continents, so you to explore all the corners of the world. Save up to $600 per person. Get a head start on holiday shopping or try something new with the fresh new brands your Member Benefit Program has to offer. For more details, visit the Family, Education, and Flowers & Gifts pages. Brookdale Senior Living — Are you looking for help with an aging loved one’s care or daily needs? You and your family are eligible for benefits and savings on Brookdale Senior Living’s comprehensive senior-care services. Bisk — The State Bar of Texas and Bisk have partnered to offer a wide selection of online degrees and certificates from leading universities and designed for busy professionals. Appliances Connection — A home-goods retailer with two decades of experience, Appliances Connection offers a wide range of name brands. Save 5% site-wide. Texwa Jewelry Works — With lower overhead than the typical jeweler, Texwa can offer customers beautiful jewelry at low prices. Save 20% site-wide. Current offers provided by Beneplace. For more information on other discounts you’re eligible for as a member of the State Bar of Texas, visit texasbar.com/benefits. The Texas Bar Private Insurance Exchange is a multi-carrier private exchange designed for State Bar of Texas members and their staff and dependents. Available to both individuals and employer groups, the exchange offers a wide range of health insurance choices and more. Originally published by David Coale. Iberiabank v. Broussard, among many other issues, addressed the “century-old” uncalled witness rule, under which, “if a party has it peculiarly within his power to produce witnesses whose testimony would elucidate the transaction, the fact that he does not do it creates the presumption that the testimony, if produced, would be unfavorable.” Also, there is “an important exception to the applicability of the presumption: if the witness is ‘equally available’ to both parties, any negative inference from one party’s failure to call that witness is impermissible.” Here, the Fifth Circuit found that a witness with knowledge about a particular computer-access issue could have been called by either side, making this rule inapplicable. No. 17-30662 (Oct. 25, 2018). Hello and Happy Friday! Welcome to those of you joining from my recent presentations in Panhandle, Waco, and Clovis. * Farm Succession Planning Newsletter Series. The Hallock & Hallock Law Firm in Utah recently published a four-part newsletter series on farm succession planning. The steps are practical and the articles useful. They suggest that farm and ranch owners should (1) Determine where the farm is now; (2) Determine where the farm wants to be in the future; (3) Create a road map to get there; and (4) implement the plan. You can read these newsletters here. Next week, I will not be speaking as it will be Thanksgiving, but the following week I’ll be back at it. On November 27, I’ll be presenting a program on hunting leases for County Extension Agents. On Thursday, November 29, I’m excited to be in Victoria to speak at an extension agricultural law meeting with topics including water law, fence law, and eminent domain. As always, you can see my complete list of upcoming programs here. The post November 16, 2018 Weekly Round Up appeared first on Texas Agriculture Law. No good cause, no pleading amendment. Originally published by Guest Blogger. The first time I got intentionally drunk was on May 26, 1972. I was 12 years old and woke up that morning to find that my father had died during the night. By that afternoon I had dipped into Dad’s liquor cabinet and I was drunk. For some reason I instinctively knew that alcohol was the balm for the pain that I thought was going to kill me. Originally published by Jay Harrington. If you can hone the skills required to develop business as an associate, you can set yourself up for great success within a law firm. No cases have been decided today. Private analysts and the Federal Reserve say a slowdown is looming. Though few believe a recession is near, a slowdown in growth would have far-reaching implications. Chinese companies are setting up shop in the U.S. to obtain the scrap paper and plastic their government has deemed too dirty to import. Owners of forest land along the Florida Panhandle and beyond are grappling with at least $1.6 billion in timber losses after Hurricane Michael. After missing out on major shifts in consumer tastes and watching sales stall, the company has remade its baby line from head to toe. Catching up won’t be easy. Epic Games, the creator of the smash-hit videogame “Fortnite,” is valued at almost $15 billion as part of a new investment round. An outcry over remarks Ms. Kelly made on the air about blackface Halloween costumes on Tuesday proved the last straw in the anchor’s rocky stint on the ‘Today’ show. NBC canceled her show Friday. Negotiations “about next steps” continue, her lawyer said.